In many ways, the Internet of Things (IoT) embodies the spirit of the defence industry, with a unit of devices working harmoniously to achieve one common goal in the most effective and efficient way. It makes sense, then, that the military and security sectors are seeing increased adoption of IoT technologies to transmit and handle intelligence quickly, with new lightweight and portable devices being used. 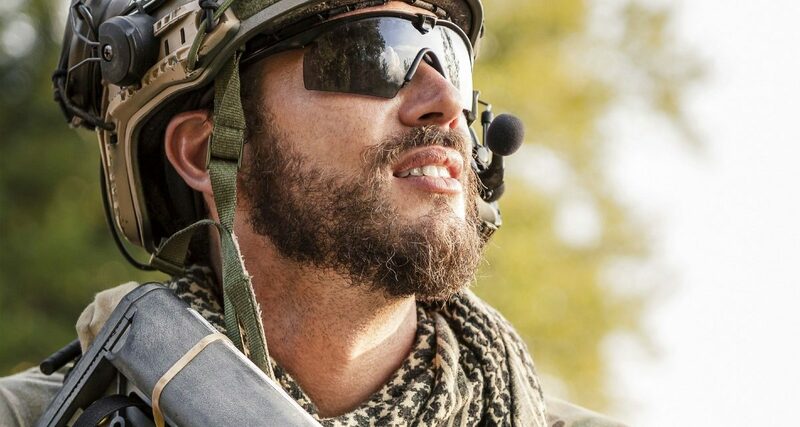 Here Michele Windsor, global marketing manager of professional battery manufacturer Accutronics, outlines the three steps to ensuring the next generation of military devices are powered effectively. The global defence budget is expected to be worth $1,748.5 billion by 2020, growing at a compound annual growth rate (CAGR) of 7.07 percent, according to market research firm MarketsandMarkets. While there is no elaboration on where funds are allocated within the budget, the necessity for smart communication makes it likely that a significant portion will be reserved for further implementing IoT technologies. Portable devices are the cornerstone of IoT but they are only as effective as their power supply. While mission-critical applications in biometric stations are usually fixed installations powered by generators, field devices require a reliable military battery that is capable of not just providing sufficient power discharge but also of doing it consistently. For example, a portable communication device needs a battery capable of withstanding lengthy periods without charging. Not only that, but the battery must be securely fitted and able to operate correctly in spite of the environment or handling of the device. Only then will it be a reliable source of power. This is one of the core challenges faced by defence and security batteries. While it might be relatively straightforward to find one suitable for powering devices, it’s significantly harder to find one that does so effectively. Batteries for field devices, or even emergency lights, need a longer operating life with accurate fuel gauging to avoid unexpected depletions. Specially designed military batteries offer a trustworthy solution. The best way to guarantee that the battery is capable of delivering consistent results is to approach battery manufacturers directly for a bespoke product. These could come with precise fuel gauging or an LED state of charge indicator, all housed within a lightweight and rugged casing to withstand harsh conditions. Little touches like this make all the difference in the field. All markets have their difficulties and defence is no exception. Counterfeit, or grey market, batteries pose a tremendous threat to the electrical integrity of military devices, sacrificing quality for a lower price. This lower cost may sway some manufacturers, but these batteries are far from cost efficient. Aesthetically, the batteries may seem legitimate and no different to genuine products, but the internal components will be of inferior quality. This could be due to inadequate protection circuits leaving cells unstable and vulnerable to over-current, potentially culminating in the battery swelling or even explosion in rare circumstances. So how do you fight the fake batteries? The easiest method is to consult directly with an Original Equipment Manufacturer (OEM) who can not only guarantee that the battery is genuine but can also ensure that the best solution is chosen. For example, at Accutronics we have developed battery solutions that use algorithmic security, an in-built software that keeps devices safe from counterfeits. Algorithmic security uses a code that is unique to each battery, with a correlating code programmed into host devices. This prevents fake batteries being used with the device without personnel being alerted, eliminating the risk of failure during operation. It is worth noting that grey market products are not necessarily cheaply produced copycats. They may be recycled components that have been refurbished and branded as new, or even defective parts that the OEM scrapped. For this reason, it is important to form strong working relationships with battery manufacturers. In avoiding counterfeit batteries, defence businesses also minimise the risk of electromagnetic interference (EMI) in IoT networks. By cutting corners on circuit insulation, electrical isolation and impedance, as well as creepage and clearance distances, counterfeit batteries typically do not meet EMC regulatory standards. As a result, when these batteries are connected to chargers plugged into the mains power supply, it can introduce issues such as voltage fluctuations and radio frequency interference that can affect other telecommunications equipment on the network. Counteracting this with technologies that provide additional filtering is a key first step, but further issues lie in the design of pre-engineered smart batteries themselves. For all the benefits they can provide, they do contain microprocessors which are a source for radio frequency interference (RFI). It’s for this reason that OEMs should consult specialists during the design stages, enabling them to provide a bespoke battery solution that meets application requirements while also complying with the latest EMC regulations. With careful preparation and the right guidance, any military IoT network can come together successfully. By considering the power behind the technology at the right time, the defence industry can work in harmony and unity to achieve its goals. Integrating functional electronics, lighting and touch controls inside of thin 3D injection molded plastics.